Richmond Sunday Streets was last weekend, the last Sunday Streets of 2013. There’s a reason for that: it was cold. This didn’t seem to affect attendance much, but it made our kids grouchy and their noses run, so we didn’t stay as long as we might have otherwise. For this event our son could ride his own bike without our having to keep an eye one him. Although most of the action was on Clement Street (aka Chinatown 2), Arguello was also closed from Golden Gate Park up to the start of Clement. In combination with the regular Sunday street closure in the park (and the fact that we live three blocks away) we rode the whole way without having to worry about cars except at a couple of intersections staffed by crossing guards. Even though it is always a bear climbing up Arguello into the park on the way home, it was worth it. 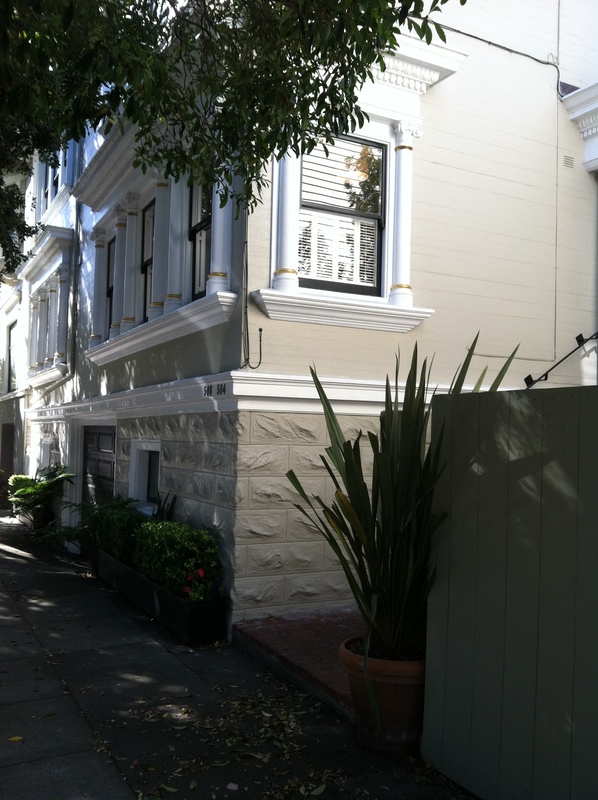 We used to live in the Inner Richmond, back when we were a one-kid family. We liked it then, although it eventually made sense to move closer to campus, but we’d like it even more now. Richmond Sunday Streets overlapped what is now a regular farmers market that takes over a few blocks of Clement Street every Sunday (now permitted to 2014). That didn’t exist when we lived nearby. And with Halloween coming up there were costumes as well. Even bike costumes! Big Dummy with pirates–see what I mean? Costumes! 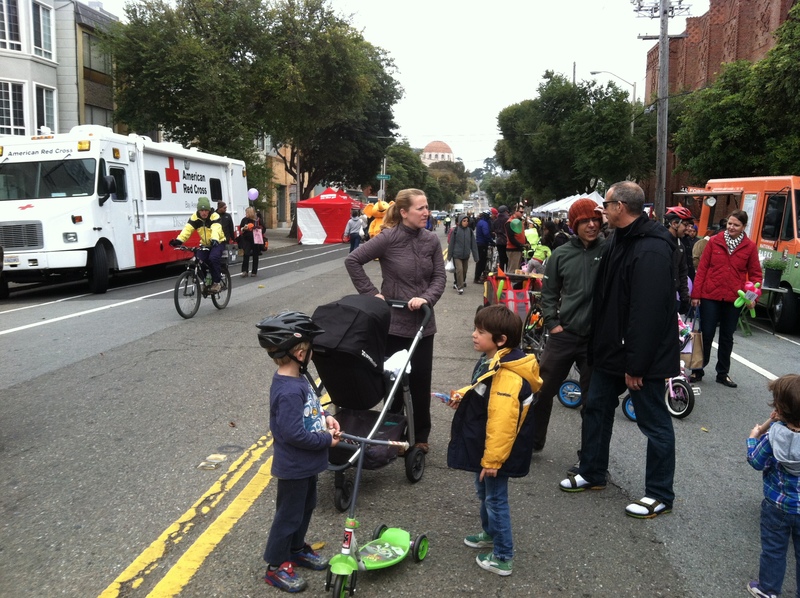 We often see friends at Sunday Streets, and this was no exception—these days I’m starting to recognize bikes, at which point I stop to look for the people attached to them that I know should be around somewhere. As a bonus, we also got to meet a handful of new-to-us people with cool bikes. 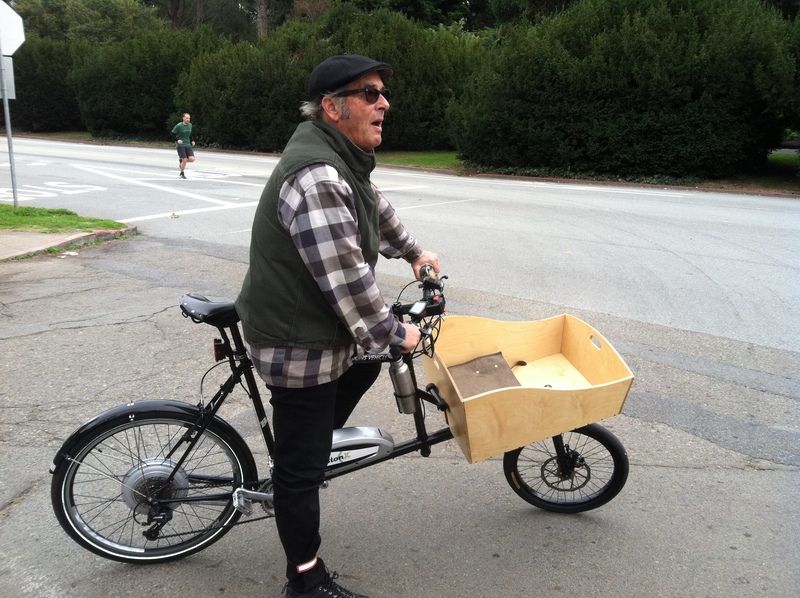 One family met us in Golden Gate Park to try out the Bullitt, even though they already own a pretty righteous Big Dummy. And I was reminded once again how much you can load on a Big Dummy, a trick that is evidently not exclusive to Family Ride. Finally, I meet another triple tandem family. People break out the big bikes for street closures. 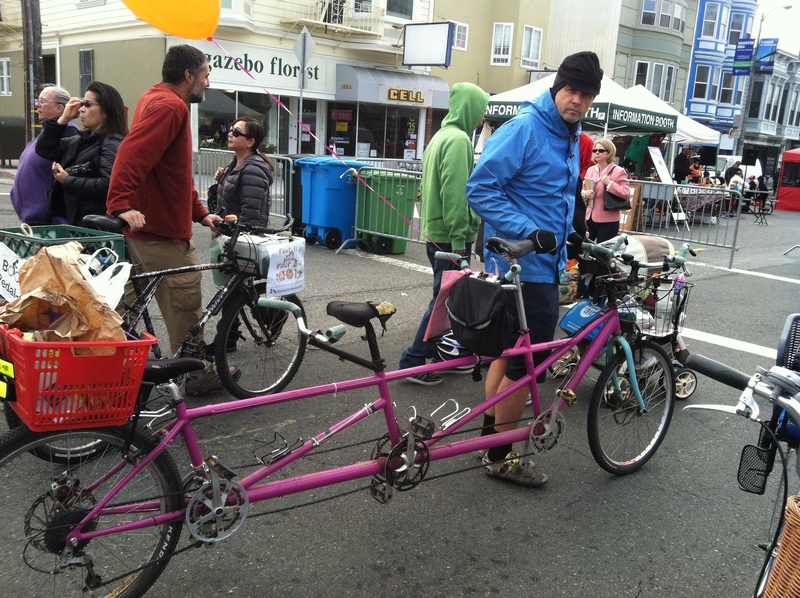 At Sunday Streets I’ve now spotted three different triple tandems—green, pink, and red—and this time we met the dad who rides the pink triple. He told me that he’d bought the frame used and built it up from there—he had no idea who manufactured it, but what a score. On the way home we stopped at an intersection with a guy on a folding bike who told us our electric assist was “cheating.” I find this kind of thing pretty tiresome—since when are there competition rules in transportation cycling?—but Matt is more patient than I am. “We haul two kids up Parnassus Heights,” he said. “They should pedal on their own!” responded our critic. This is ludicrous—our son was on his bike that day, which is how we know that he can’t yet get up that hill on his own, even though he is a strong rider for his age. But after that this stranger told us that an assist was the right thing to do, and that he wanted one of his own. These moments make me wonder how much of the occasional grousing we hear about electric assist constituting “cheating” is simply envy. How cool is this Bilenky? 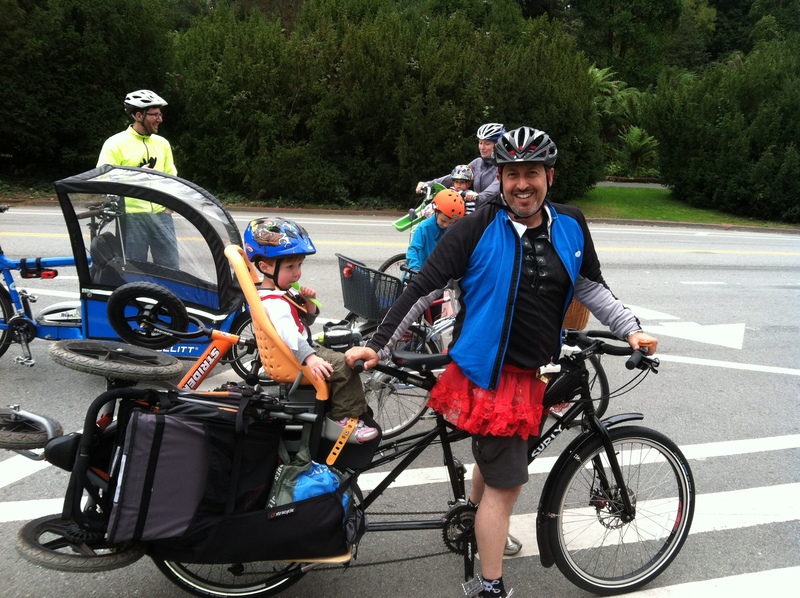 But to sweeten the ride home, we met up with another cool cargo bike: a BionX Bilenky! I’ve seen a couple of Bilenky cargo bikes before, usually on the flats as the Bilenky front-loaders are not known as great climbers. But with a BionX it hardly matters. The rider told me that he lives above Buena Vista Park (for those unfamiliar with San Francisco, if there is a view, inevitably there is a steep hill associated with it). “I’m living the dream!” he told me. This is the part of our new condo that doesn’t need to be fixed. I’m now riding nearly every day, and walking without the cane. My limp gets a bit less noticeable every week. I keep meaning to write more, but I’ve been overwhelmed, mostly because (drum roll) we just bought a condo. Our new place is three blocks from our current rental, but every one of those blocks is downhill. And it is on a designated bike route, which means: a flat street. We’ll no longer need the assist just to get home. We won’t be able to move into the new place for months because it has… issues that need to be addressed (including the world’s most unusable kitchen). But we are counting the days. And check out our new neighbors. I am so excited that we will be living down the street from these people. I am so impressed by that Bob stroller on the Big Dummy! 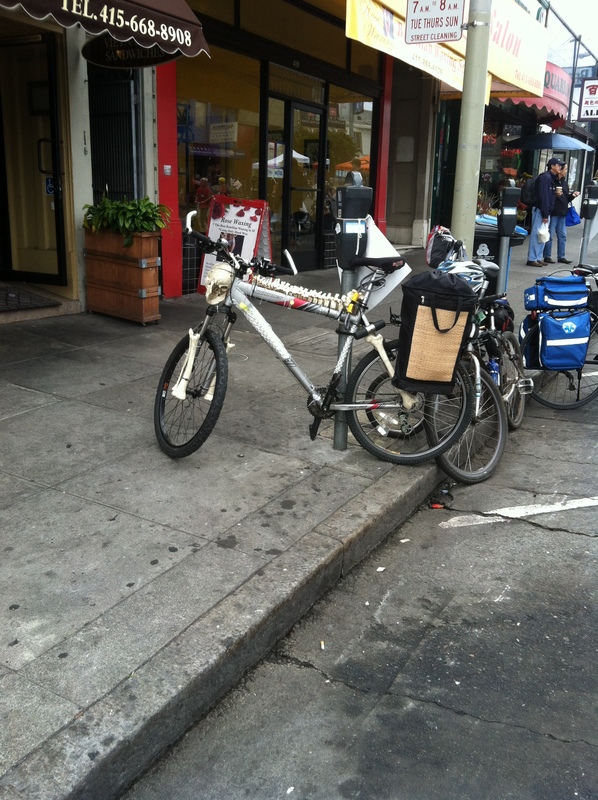 I toyed with the idea of figuring out a way to tow mine behind the bike, but never thought of carrying it. For the record, the family stated (in the I love my Surly Big Dummy Facebook group) the tutu is imperative so I don’t feel so bad I never figured it out, not having worn a tutu since I was six. Finally, YIPPEE to hear you’re riding so much! You’re amazing. 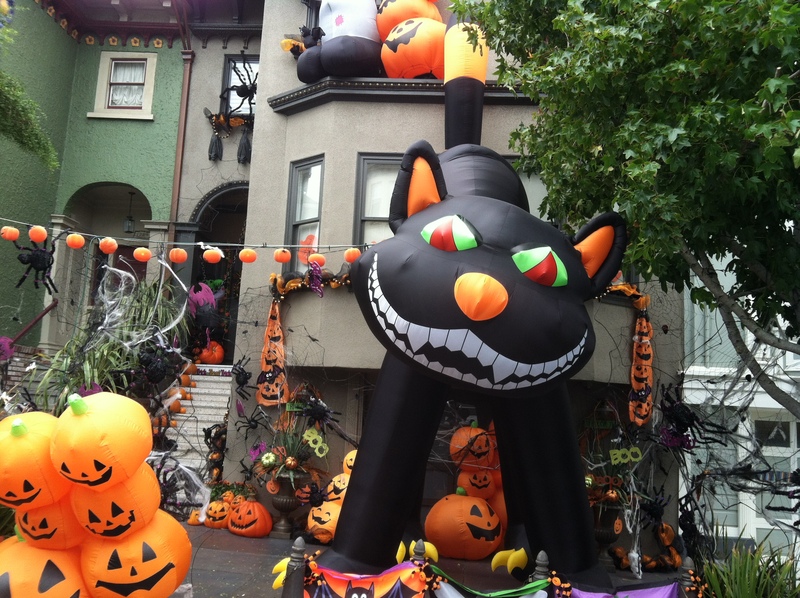 And I cannot believe the size of that inflatable cat–I have never seen anything like it. Sunday Streets looks amazing – we seem to be limited to one traffic-free day a year here in the town centre (http://www.goskyride.com/SkyRideCity) although there seem to be more bikes on the road every day so hopefully there will be more demand for it in the future. Best halloween decorations ever! Great about moving down the hill. Only a true cyclist sees that as a step up.